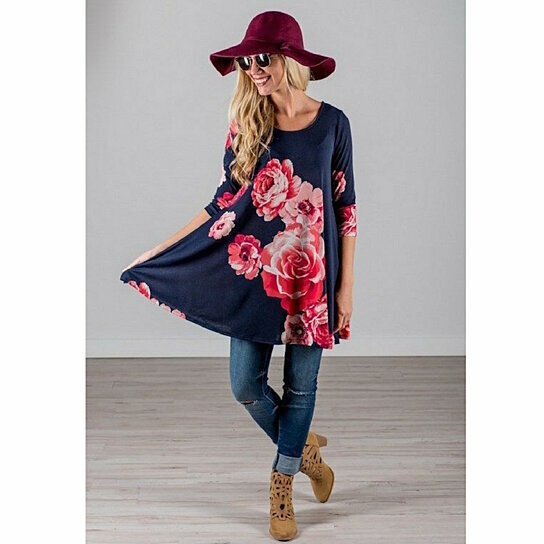 Gorgeous rose garden tunic t-shirt or dress, is right on trend. Blossoming cabbage roses printed in shades of pinks to enhance the delicate lace of this romantic tunic. Looks amazing on and fits many occasions perfectly. Very feminine and an elegant design for every day or a special occasion. Featuring an eye-catching print and relaxed oversize fit, this tunic boasts both effortless style and breezy appeal.